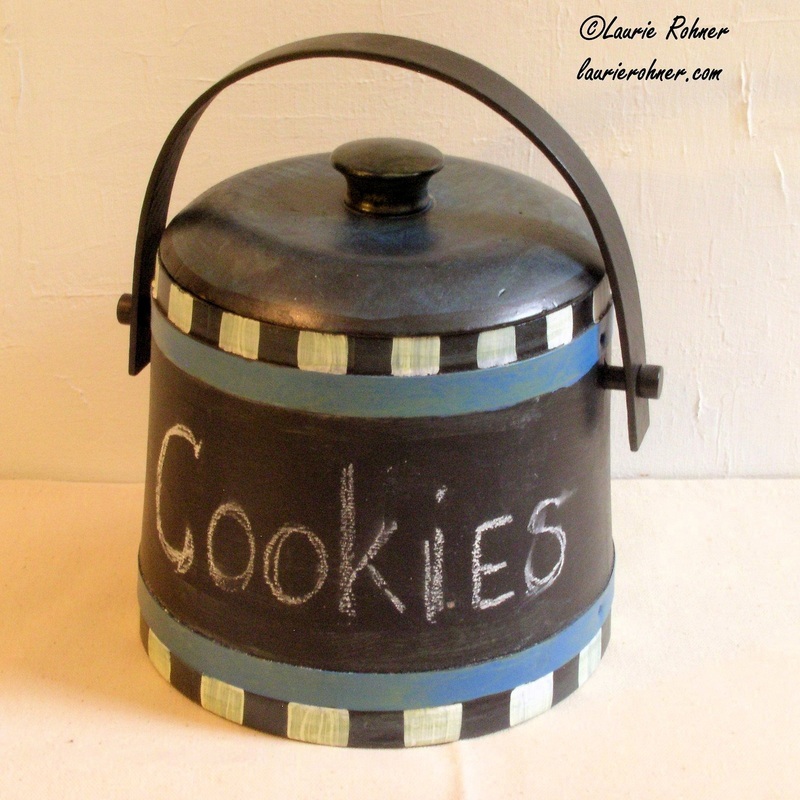 Painted Furniture Wood Canister with Lid Painted Vintage Farmhouse Cottage Chic by Laurie Rohner. Painted canister wood with lid is functional art for farmhouse kitchen storage solutions and great organizer. 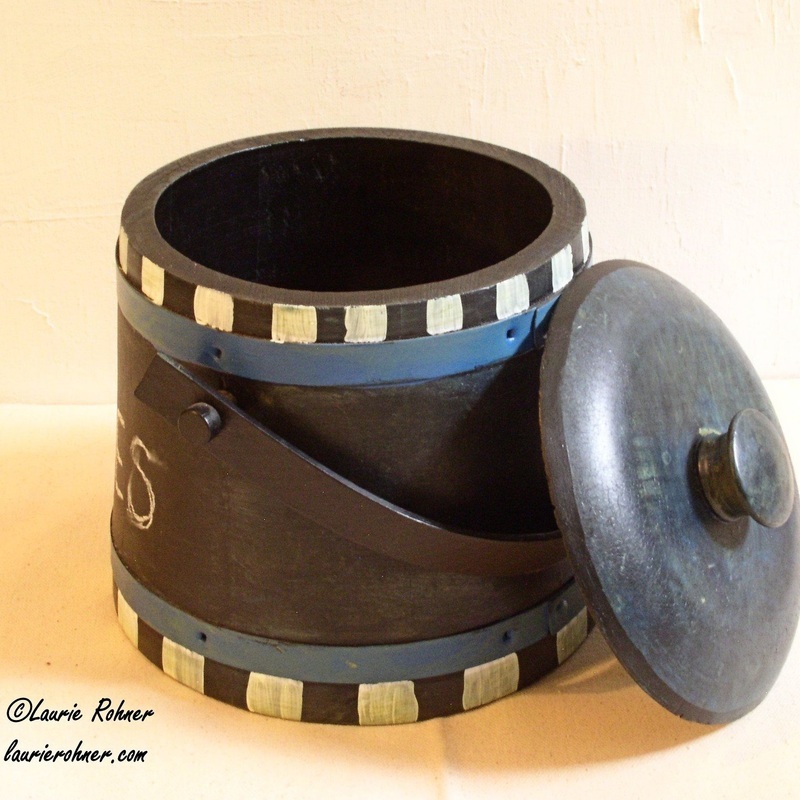 An ice bucket is re-purposed for kids treats, tea bags, or dog biscuits with blackboard paint around the middle so you can organize the contents. 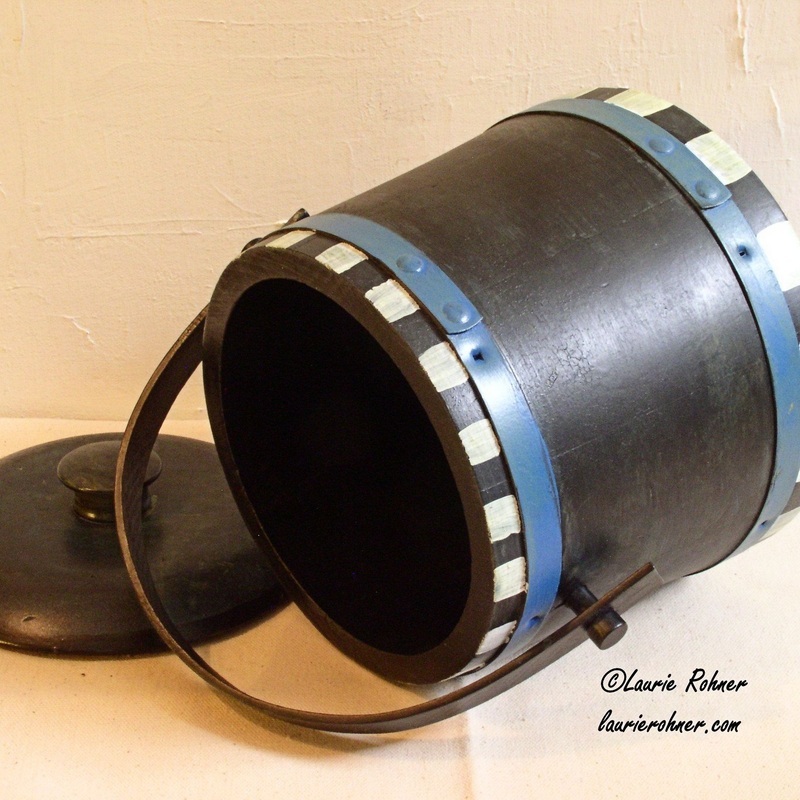 Painted black with a faux slate finish on the lid and center, black and white checks and a sky blue band, then hand painted around the middle band is blackboard paint where you can write whatever you like. Measures: 7.5" h x 8" dia. Inside measures: 5.5" h x 5.25" dia.